To promote the care and preservation of the Buckner homestead, orchard, and community atmosphere in perpetuity. 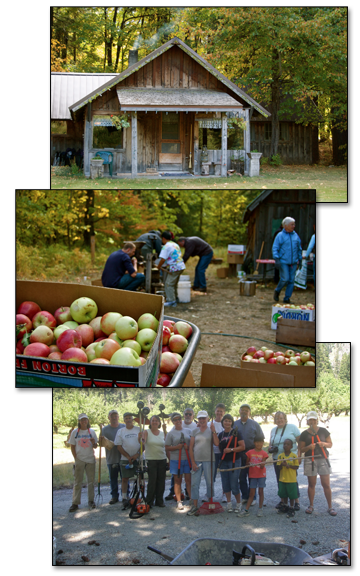 To wit, the Buckner Homestead Heritage Foundation has been organized to operate exclusively for educational, scientific, artistic, literary, and charitable purposes relative to the care and preservation of the Buckner Homestead and Orchard, located in Stehekin, Washington. To manage private donations so as to promote the care of the Buckner Homestead and Orchard. Packing shed – to develop and implement a plan for replacement of the Buckner packing shed for both historic and community purposes. Read more in depth about our terms, funding, goals, etc. Read more about funding, memberships, and expenses. The Board of Directors of the Buckner Homestead Heritage Foundation believes that all persons responsible for policy decisions affecting the Foundation should understand and apply their responsibilities in good faith and with diligence for the benefit of the Foundation.